Curly in the City: tempation shopping...similar to tempation island, maybe! tempation shopping...similar to tempation island, maybe! Why is it when I try to save money things like this always magically appear in my inbox...tempting and teasing me into NEEDing them. And then you splash the words SALE, like I will be able to stop and continue on my merry way. 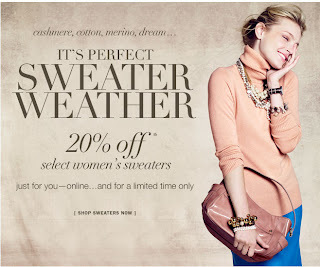 Oh J.Crew...why do you send me emails with this cute outfit as the main object in the body??? Well I know why...but darn you for tempting me so horribly!!! 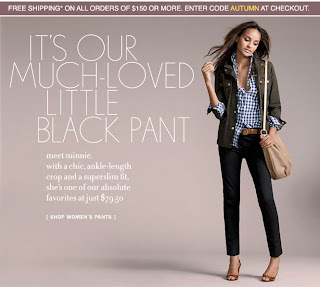 I love you little black pants, that look so dang cute. And then the sweaters... I NEED sweaters, it gets coooold here you know!! And I MUST be cute while bundled up! Seriously darn you!